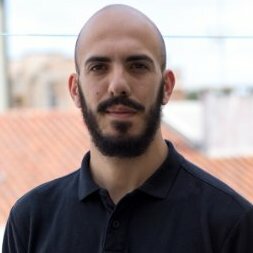 He graduated as a Computer Technician at the Dr. Bernardino Machado School and then completed a degree in Communication and Multimedia Design from the Polytechnic Institute of Coimbra.He has internships as Computer Technician and as App Designer & Developer. Pedro is at the intersection where technology and visuals embrace, for him the needs of the user are the most important part of his work and that more dedication needs. He loves to hang out and eat good food to the sound of good music.